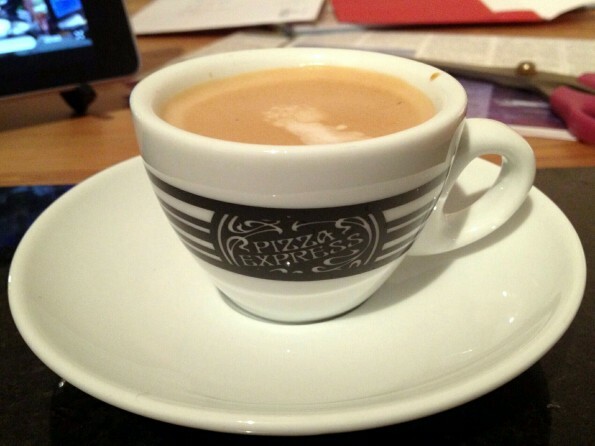 My brother and sister in law kindly bought Wendy and me some Pizza Express espresso cups for Christmas, and this was my attempt at a homemade espresso macchiato. It was really rather tasty, even if I do say so myself! This 1,946th post was filed under: Photo-a-day 2012, Coffee, Pizza Express.